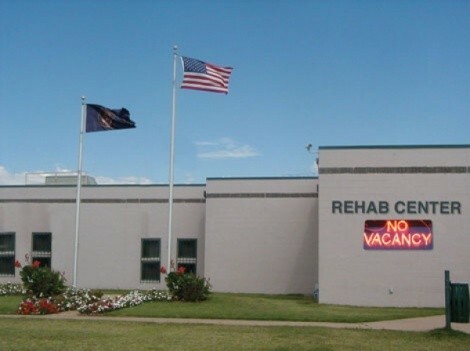 So many need to go to rehab, but Gov. Herbert’s budget says no, no, no. It’s not homeless shelters’ or police’s fault there are so many tempting drugs around, he says. There are just more homeless addicts than the jail—and certainly more than drug rehab programs—can accommodate. Crawford, 29, is one of thousands of impoverished and low-income Utahns who have been arrested or are seeking publicly subsidized addiction therapy but have to maintain their sober resolve long enough to outlast monthslong waiting lists for treatment programs and housing. State data show that nearly 80,000 Utahns are in need but can’t access substance-abuse treatment (see the document below). Gov. Gary Herbert’s 2012 budget plan, which proposes cutting the $3 million in funding for the Drug Offender Reform Act, or DORA, would let more addicts go untreated each year, advocates of the program say. But the governor’s budget proposal (pdf), released Dec. 11, would do just the opposite, eliminating DORA entirely. In the past two years—DORA was created in 2005—the program’s future was assured only in the waning days of the legislative session in March. It’s always been kept on edge with one-time money, requiring supporters to annually grovel to legislators keep it alive. This year may be no different. DORA diverts drug offenders from incarceration in favor of more intensive probation supervision and treatment, as well as providing housing for those who need it. DORA participants have fewer interactions with the system than drug-court participants, but their probation officers have much smaller caseloads that allow for closer supervision. In fiscal year 2009, the program served 1,200 people, but was on pace to serve about 900 in 2010 after budget cuts that demoted the program from a statewide service to a pilot project that exists only in Cache, Weber, Davis, Salt Lake, Utah and Washington counties. Fleming says 8 in 10 criminal cases in Salt Lake County “have an alcohol, drug or mental health-related component.” According to the 2009 annual report from the state Division of Substance Abuse and Mental Health (see below), each year Salt Lake County alone has more than 33,000 people—more than any other county—who are unable to pay but are in need of substance-abuse treatment, but only about 6,200 spaces exist to care for them. In Utah County, about 16,000 people are in need of treatment. Only 1,000 slots exist to treat them, according to the same report. About 4.7 percent of all Utahns are in need of addiction treatment, and current funding levels service only 20 percent of the need. The recession, Fleming says, is making the situation worse as people are losing their jobs—along with employment-based health insurance. DORA advocates—including State Sen. Chris Buttars, R-West Jordan, the chairman of the Senate Health & Human Services who’s been a vocal champion of the program in years past—say DORA is cheaper than incarcerating an addict, and also more effective at correcting behavior. Richard Nance, director of Utah County’s Division of Substance Abuse, says incarcerating a mother, putting her children in foster care and other related expenses costs about $115,000 per year. DORA, by contrast, costs about $6,000 per person for a full year of treatment. Crawford began his first round of rehab at Salt Lake County drug court in 2003. He held a steady job for about five years, but in 2007, his father died and Crawford relapsed. He spent more than a year using meth and living on the streets. This summer, he says, using tools he learned from drug court, he cut down on his drug use and entered a drug-treatment program through the VOA, but he still lives among drug users at a homeless shelter, a constant threat to his sobriety. He’s been on a waiting list for First Step House, a public residential treatment center, for five months—and counting. That is a very common struggle for a low-income or homeless person who is trying to get sober, says Salt Lake County DORA coordinator Kevin Mossel. “Everything that surrounds them in their environment is out of whack and it makes it hard for them to stay clean without professional help. They could be having withdrawals, urges and cravings. … Their recovery environment is poor because they’ve surrounded themselves by addicts, maybe their family has disowned them … their health has deteriorated,” Mossel says. “When they finally say, ‘I have a problem, I’m ready to do this,’ … months go by,” before treatment is available. When Crawford goes into court on his theft charge, his judge could have the option of sentencing him to DORA, hopefully pulling him back through “the gates of hell” and into a sober environment, but the program might fizzle and disappear before he’s finished if the governor’s proposed cut is implemented by the Legislature. Turn to page 67 in the document (page 70 in the PDF) to see the data referred to in this story.